The 28-year old from Chicago, has had his fair share of adversity throughout his life beginning as a teenager. In 2005, teenage Cantu was arrested along with his older friends for a robbery and sentenced to serve 10 years in a juvenile facility. It was in there that he realized major changes had to occur in his life or he would continue to repeat his history. Growing up in a single-parent household, he realized that the only way to protect and provide for his mother was through making some tough but life-changing decisions. While incarcerated, he took charge of his life by first establishing a solid foundation in education earning his G.E.D. and then went on to pursue community college after being released. 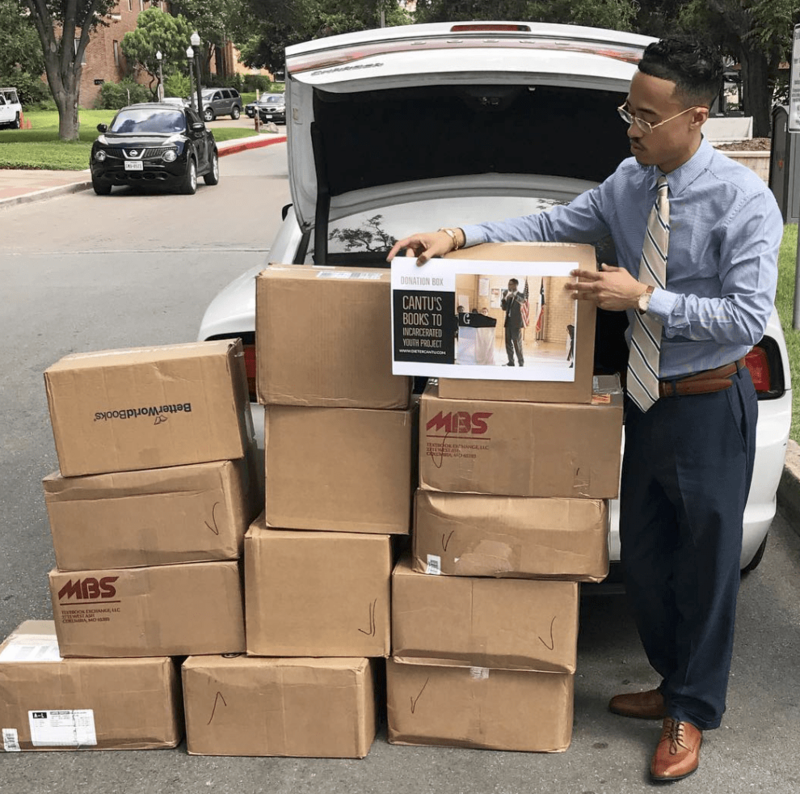 Due to restrictions from his parole officer, Cantu then attended University of Texas – San Antonio where he majored in Public Administration and journeyed into entrepreneurship, starting up his own non-profit organization. Cantu believes that as a society we have failed to educate the children that have made mistakes throughout their childhood that would like an opportunity to learn but don’t have the chance to. After studying public administration and mixing it with his passion for prison reform, Cantu began his crusade on educating juveniles by filling their facilities with books. 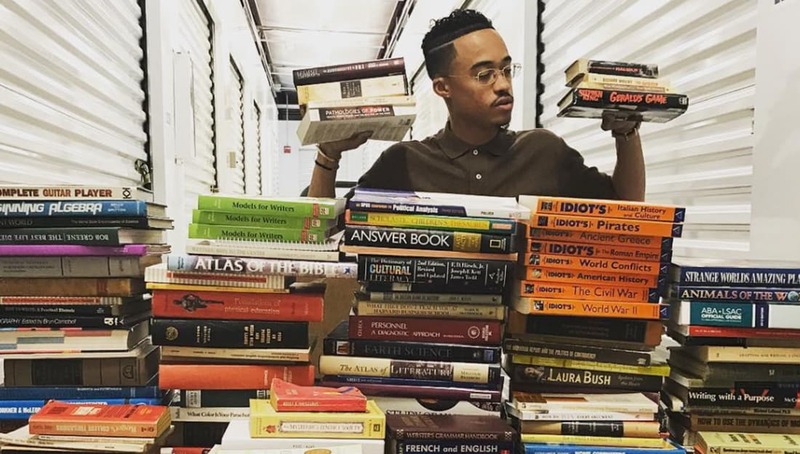 He currently travels to 11 high maximum juvenile facilities throughout Texas,donating books with topics in the area of African American studies, Test Prep, Law, and Psychology. Dieter aims to give these incarcerated youth the proper education and some leverage when it’s time to go back into world. In the near future, Cantu plans to move this program towards becoming an official program in all juvenile facilities after showing an increase in juvenile comprehension via his book program. He’s also created a pen pal program with local Alphas to connect with juvenile kids while they are serving time, sending encouraging letters and being a presence in their life. With all the work Cantu has done within in his community, Bexar County honored him by naming February 13th, “Dieter Cantu Day”. Cantu has pledged to launch a big program every year on his day to give back. 2018 has quickly shown Dieter favour as he is preparing for his TedTalk “The Child Who Believed He Could”. He aims to bring the community in on his vision this year in an effort to educate more youth cell by cell. 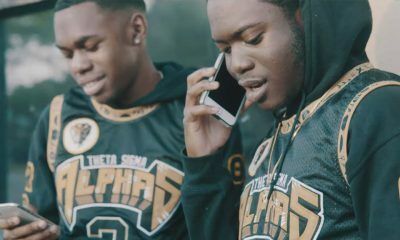 About the Author: Kyle Kidd-Buckner is a Spring 2017 initiate of Alpha Phi Alpha at Jackson State University, a journalist, and the Co-Author of the book, “Grown and Gone”. Follow him on Instagram at @iamkylekidd.